Hey all! 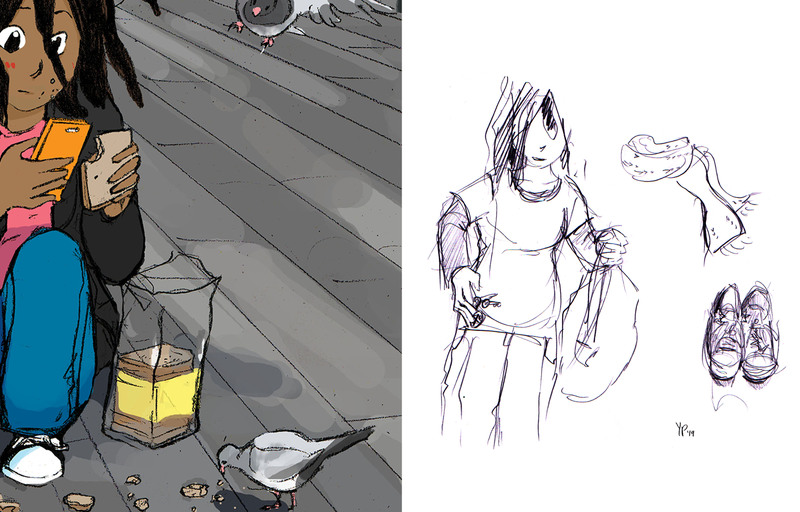 This week, you get a special peek into a drawing of Hazel feeding some Edinburgh pigeons, as well as a concept study of what she wears and brings TO feed said pigeons. (Keys to her flat are a must; scarf isn’t.) If you want access to the full print, as well as a very INTERESTING sneak peek into a key moment happening behind Hazel that is to come…join my Patreon here for $10. You get access to all Torus Link drawings and more concept sketches, and you help increase my living that I can sustain myself doing this. 🙂 Win-win, all!